In the beginning, Boston Blackie - whose real name is Horatio Black - was not the charming rogue we all like. He started his career as a criminal, a jewel thief, confidence man and and safe cracker. In spite of the fact that he was well-educated, charming and dashing, Blackie was not a nice man. 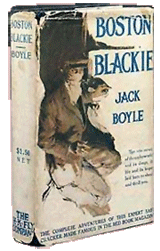 Jack Boyle, Blackie’s creator, wrote him as one of the first hard-boiled criminals in a story published in 1919. In the story, Blackie is in a horrible prison in California. That experience taught him that the life of crime he chose for himself was not worth the consequences of getting caught. After getting out of prison, Blackie made a complete turn around. He became a model citizen and a private investigator. Because he was a former criminal, he knew how to think like a criminal which gave him an edge when it came time to get the bad guy...or girl. Of course, his reputation followed him and the police often assumed that Blackie was a bad guy. The unspoken motto was once a bad guy, always a bad guy. Blackie didn’t work closely with the police, probably because they were always trying to arrest him. Blackie’s semi-friendly nemesis on the police force was Inspector Farraday. No matter the crime, from murder to fraud, the Inspector tried to pin the crime on Blackie. It made no difference how many ways Farraday tried to nab Blackie, he was always one step ahead. It seemed the only past that mattered to the police was Blackie’s checkered past. Even though Blackie was always solving cases and handing the bad guys over, the police never gave him a break. 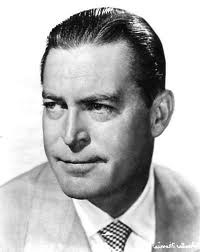 Two men played Boston Blackie on radio, Chester Morris and Richard Kollmar. Morris was Blackie for the original 13-week radio run and he was the Blackie of record in the 1940s films. 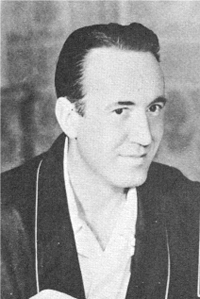 When the radio show was added to the Mutual line up in 1945, Kollmar took over the radio role while Morris continued playing Blackie in films.